A fun, engaging and interactive website. The module [key module 2: carbohydrate counting reviewed] allows you to learn about the basics of carb counting in a step by step approach, using simple instructions and interactive exercises for assessment. Great layout, easy to read and navigate. Very user friendly. You can read other people's experiences and add your own. In terms of content; there is not a diverse range of foods, and some confusion over low GI foods. The website recommends using MyFitnessPal and the Cook and Count App - these are not designed for people adjusting their insulin to their carb intake. This means that if a meal contains large amounts of vegetables and/ or legumes, individuals using it to calculate their insulin dose may over estimate the insulin requirement, resulting in hypoglycaemia. This is a safety issue. This information would also be contrary to some structured education courses that are available. The assessment is great but does not give answers at the end. 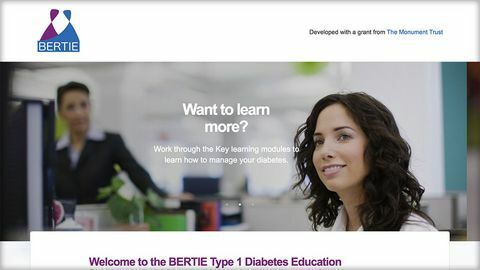 This is a large site offering a huge selection of learning on type 1 diabetes. Visitor needs to create account to start. I tried the carbohydrate counting element of the course and I found it very detailed and useful. The level of information is great though this is quite an intense resource and isn't really one to click and browse around at leisure. It should be viewed as an excellent online learning tool requiring concentration to get the most out of it.